as most of you know by now, the andrich family is a big ‘family’ family. we had the time of our lives when everyone came to atlanta for kari and kyle’s wedding last october, and since none of our parents are turning 60 this year, we figured we’d begin a new tradition in an annual cousin trip. 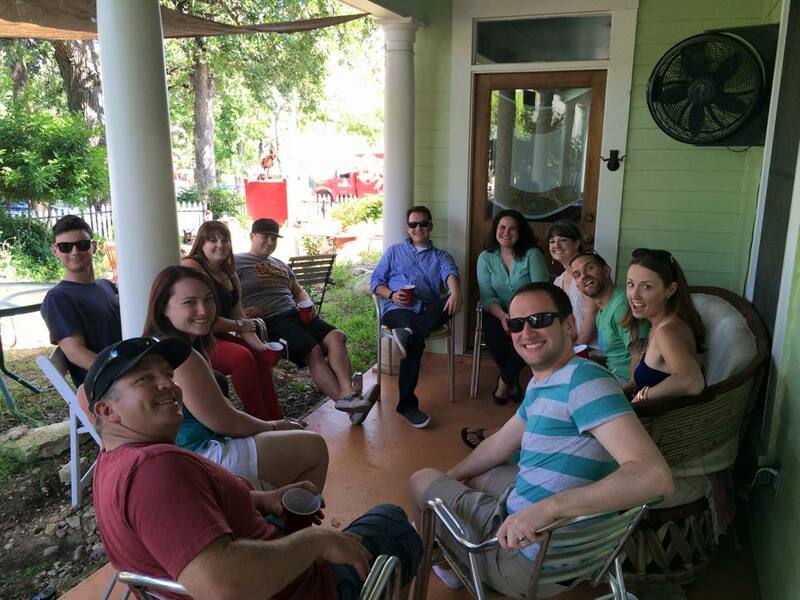 yep, just like that we instituted the first of these new get-togethers over in austin, texas. most of us had never been, and with it being pretty much halfway between georgia and california, it seemed like a pretty solid destination. thirteen of us total made the trip, and that number included phillip. oooh, our first time traveling together! and so soon! yes, yes, we’ve only been together a couple of months, but when you know, you know. 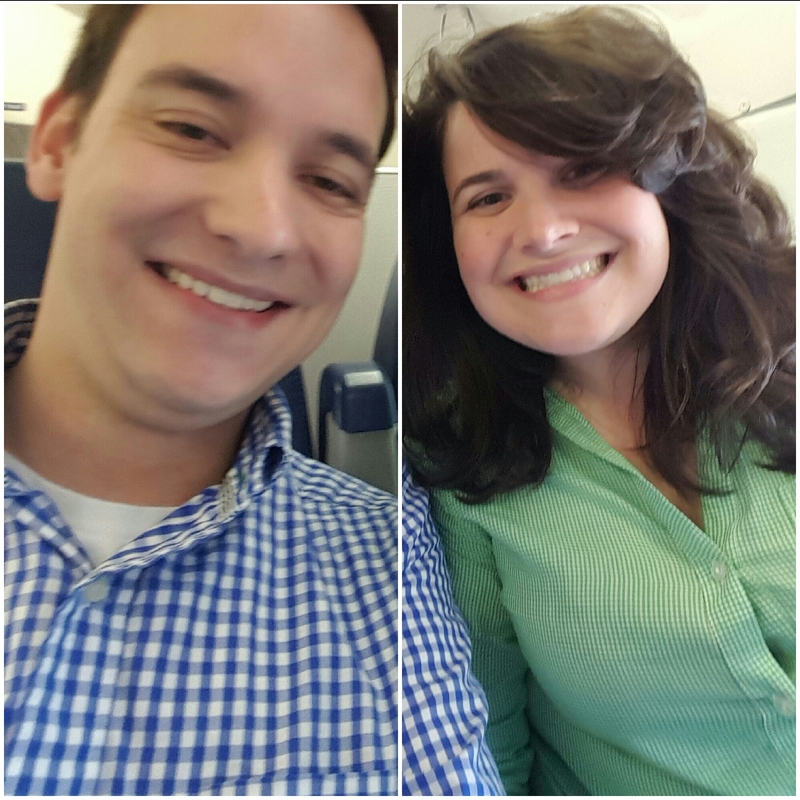 so, it was a very early five a.m. when we woke up, packed our suitcases, and made our way to hartsfield-jackson international airport. after getting our boarding passes, we shuffled through security with hundreds of other sleepy travelers. although it was a busy morning there already, it was quiet, so we tried not to be too disruptive as we waited for our plane. since we’d checked our bags, we relaxed at the gate and coolly walked on that md90 towards the end of the line. we were on the left of the plane in the two-seat row, a nice cozy setup for a quick two-hour flight westward. we of course took a few pictures, but none of them had both of us looking our best at the same time, so phillip craftily composed this cropped mashup of the two of us. hehe. it seemed like we had just finished our breakfast smoothies when we touched down in the lonestar state. with an early flight came an early arrival, and we practically had the whole day ahead of us. we deplaned and snatched our suitcases from carousel five. the taxi line was short, so we quickly hopped in a cab with a driver who looked exactly like quint from the movie jaws. he had a little bit of an oddball demeanor that made for an entertaining ride to san bernard street. we grabbed the luggage, thanked the driver for his advice, and joined kyle and kari in chinquapin, our massive and funky abode for the next 48 hours. when you’ve got a baker’s dozen to accommodate, your selection pool is narrowed down pretty quickly. we got a speedy tour of the common space and then took a stroll up the block to the nearby liquor store j&j spirits. me, doing about what you would expect me to be doing. okay, yes, it wasn’t even noon yet, but we needed to stock up the fridge for all the cousins who would soon be in town! the cashier was kind as we perused this quaint shop for the necessities: seagram’s, fireball, white wine, red wine. yep, that oughta do it…at least for a rew hours. kyle and phillip used their big muscles to lift those heavy bags, and it was back to the house we went. 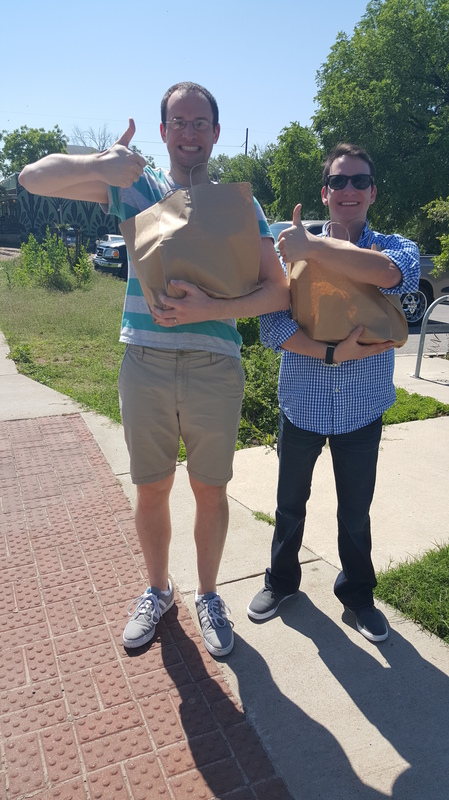 the four of us were growing hungrier by the minute, so kyle requested our uber to take us into town for our first taste of texas bbq at freedmen’s, a joint our uncle craig had recommended after his bbq tour of the south earlier this year. this place has quite a unique past that i am going to tell you all about: it started as a center for freed slaves in 1869, hosted baptist church services under the leadership of reverend jacob fontaine, produced copies of the black newspaper the gold dollar, and finally, these days, serves up cocktails, beers, and meals to hungry locals and passers-by. even though we were shaded by a large umbrella, i still was thirsty in the mild texas heat. since we were on vacation, we shared a pitcher of blur texas hefe and cheersed to what would end up being a fantastic weekend. with the drinks taken care of, the food was up next. we strategically ended up ordering a variety of meats and sides, so i think we got a pretty good sampling of what the kitchen here can do. kyle and kari both got the pulled pork sandwich. they shared some with phillip and me, and although kari wasn’t the craziest about it, i actually quite liked it. i recall it being very moist (nothing worse than dry bbq) and mild. oh, and even though i would have liked more, they only have one sauce here. different, right? right. the little ramekin they give you is more vinegary, something i don’t really care for but something that kyle actually preferred with this sandwich. across from me phillip had the brisket sandwich with potato salad. before i get to those things, though, i’ll say that we all agreed the pickled jalapenos and onions were tasteless and unnecessary garnishes that were quite a joke. okay, just had to get that off my chest. 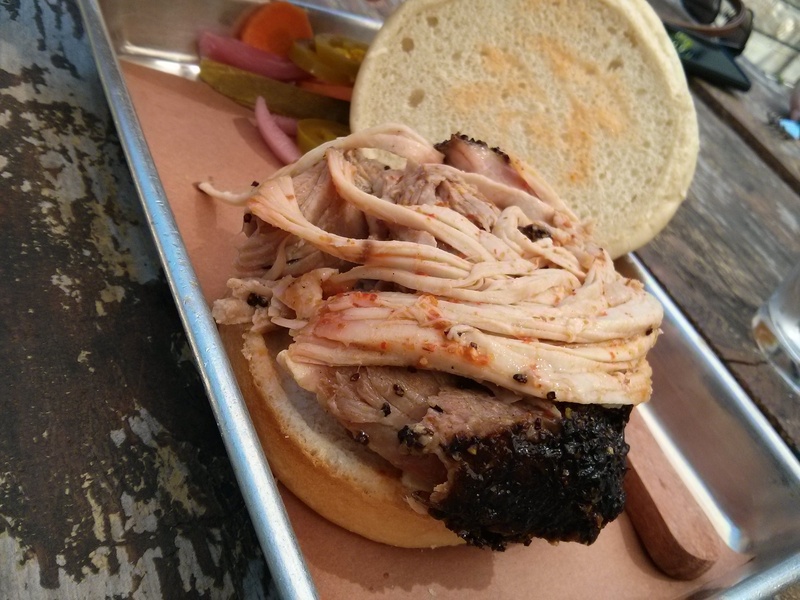 the brisket was likeable but a little on the spicy side. phillip toned the heat down with some bread, but it would turn out to be a runner-up (at best) to the brisket we would have the next day at la barbecue. 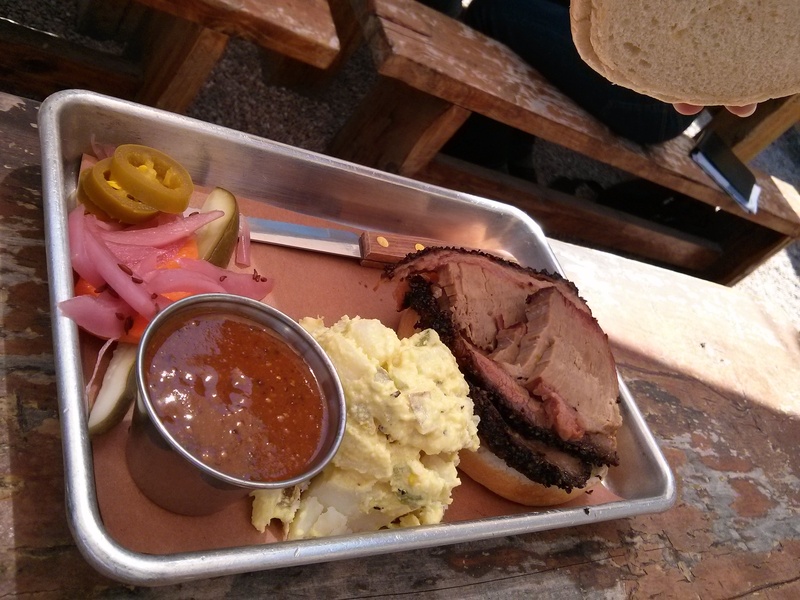 the potato salad also was yum but would, like the brisket, prove to not be as delicious as la barbecue’s. i helped mix it up by ordering the sausage sandwich. first, i wasn’t quite sure what a sausage sandwich would look like, and now i know! they just partially slice up the links and then curl them up on the bun. oh, how cute! so it looked cute, but how did it taste? i really think the spices in the sausage took away from the flavor of the meat itself rather than enhancing it. i shared it with the rest of the table, and everyone concurred it was okay but not the best. regardless, i gobbled up as much as i could so as not to waste. 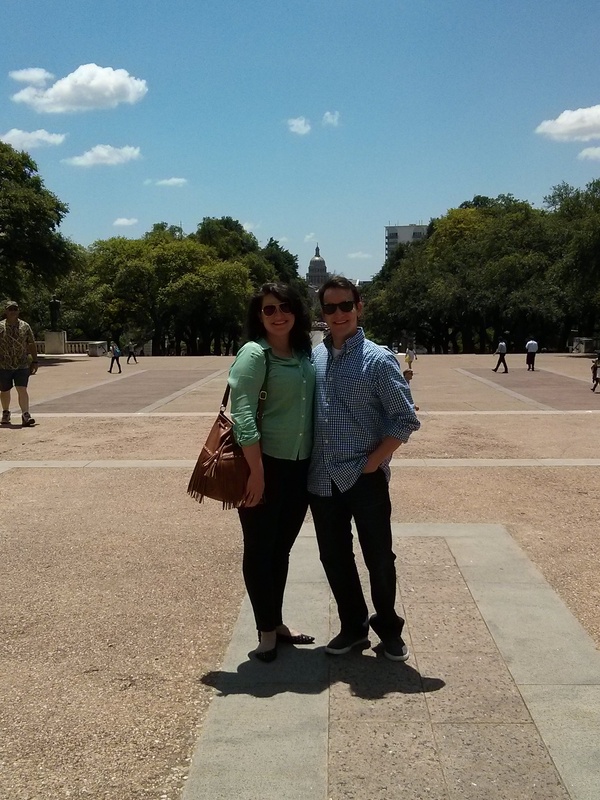 with a little time to kill until whatever would come next, kyle and kari led us to the university of texas campus. they wanted to show us a sweet view of the capitol building, but we first had to cut through some administrative building. we climbed a flight of stairs, took a few turns, and then found ourselves in the lobby. 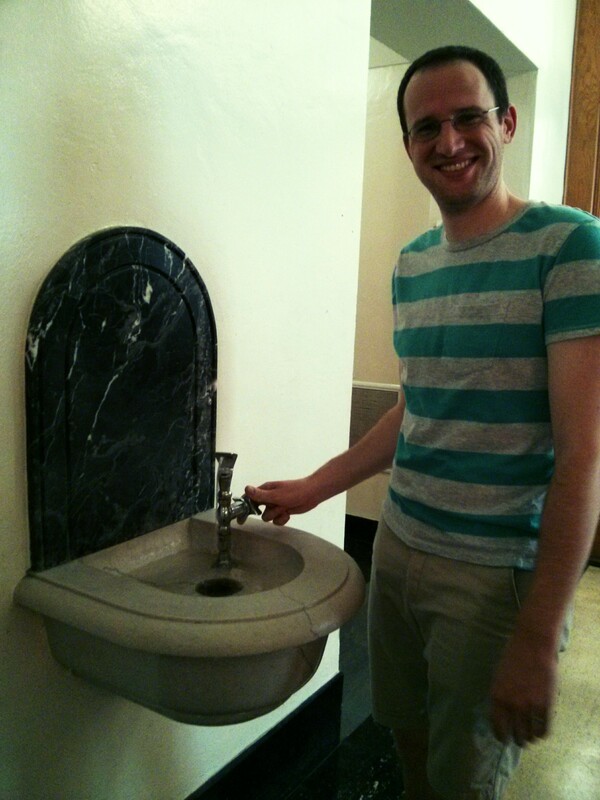 i stopped everyone on a dime so that we could stand in awe of this old water fountain that looked like something straight out of harry potter. don’t you just feel like you’re in the hallways of hogwarts? i demanded a photo, and since kyle was the closest one to it (with kari and phillip far away), he was the lucky one. it was so much fun being on campus in between class changes so that we could just people watch, and by people watch i mean student watch, which means lots of low-slung backpacks, loosely strapped chacos, extra large sorority shirts on petite sorority girls, and earbuds in nearly every person we passed. ah, yes, it just took me back to the days of counting girls in nike running shorts and uggs, eating crispy chicken provolone patties at bolton, and goofing off during redcoat band rehearsal. man, seems like ages ago! 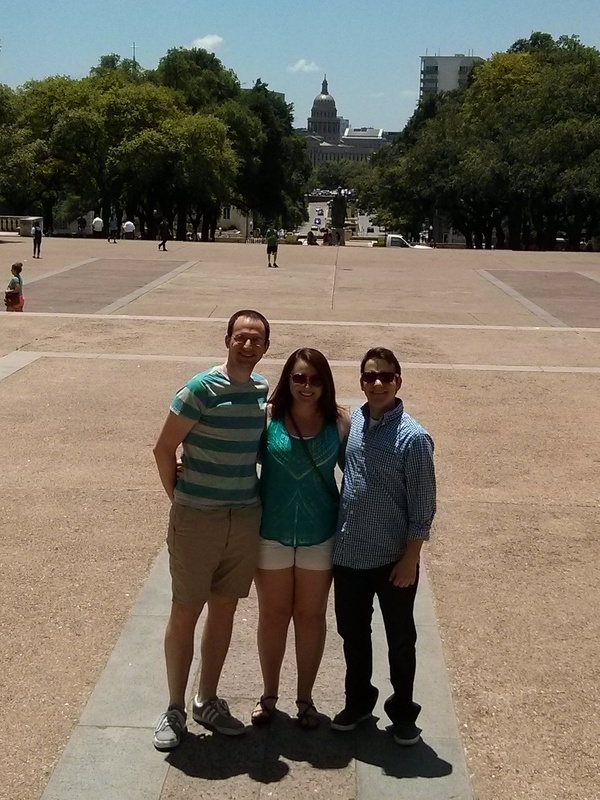 we exited the building to a beautiful view of the capitol from campus. we had picked a great weekend to visit, for it wasn’t too hot yet and bearable with the fluffy white clouds in the sky. first up was a darling picture of kyle, kari, and phillip together. and then came this mess that kari so perfectly captured on camera. i honestly could not tell you what was happening in most of these photos, but, like most of our silly pictures, they sum up my relationship with phillip pretty well. after too much giggling and plenty of sweating, we managed to take just one that actually had us looking quite nice next to each other. we moseyed in and out of the shade a little while longer when our cousin ali called to tell us that a bunch of them were actually at freedmen’s getting some grub themselves. well, back to freedmen’s we would go then! 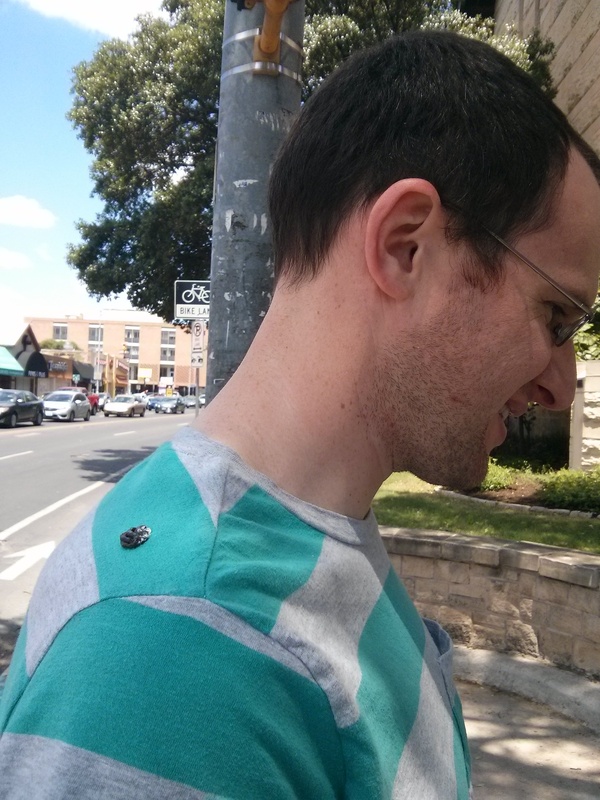 but not before kyle got pooped on. yes, ladies and gentleman, one of our flying friends relieved himself right on kyle’s shoulder, and i just couldn’t help but capture the moment. have no embarrassment, big brother! this is the sort of thing in life that happens to the best of us. okay, okay, enough of the humiliating stories, at least for now! no, i kid. nothing else shocking happened on the weekend that we wouldn’t tell our parents. we re-entered the patio and were attacked with hugs and back pats as we all said hello. phillip dove right in, and i couldn’t have asked for more. we’re quite a group to handle, but he instantly hit it off with ali’s boyfriend mike, and with another pitcher of beer to split with me, we enjoyed the rest of the afternoon right alongside everyone else. after filling up on bbq and beer, we kept the party going back at the house. i mean, we’d bought all that liquor, so it was time someone consume it! a round of 7&7’s was mixed up for everyone so that we could toast to the first ever annual cousin trip. i can guarantee you that so long as we have the means of meeting up, this vacation is just the first of many. as i said before, this house was massive, and it included the perfect patio for this family gathering. if i can see everyone’s faces clearly, here’s the crew (all together! ), starting with shawn in the lower left-hand corner: shawn, kari, brian, ali, mike, phillip, me, sara, christian, erin, kyle. i have to assume either kate or clark was taking the picture. i’m sure they were there, too! 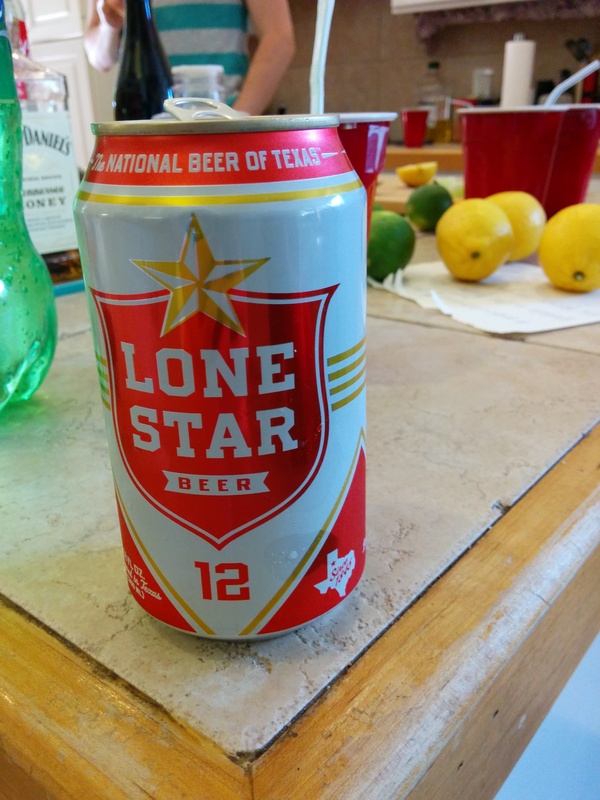 we downed our lonestars and called about five uber cars to take us into the city. we’d heard all about the infamous congress street bridge bats and were ready to see them for ourselves. unfortunately, the bats weren’t really flying like we pictured they would. i’d heard that millions of them come flying out from underneath the bridge just before the day is done, rising into the night sky in a thick black column. well, what we saw was more of a sputtering of them flying out. we later found out from another of our many uber drivers that we were a bit early in the season to see them. yes, they’re there, but they’re mating right now. later in the year once the bats have their bat babies, which, i’m sure are probably are as gross-looking as i’m picturing them being, then that’s when they all leave the “nest” and fly out together. well, i guess we’ll just have to come back! and after the weekend we had, phillip and i both agreed we’d be making a return trip within the year. 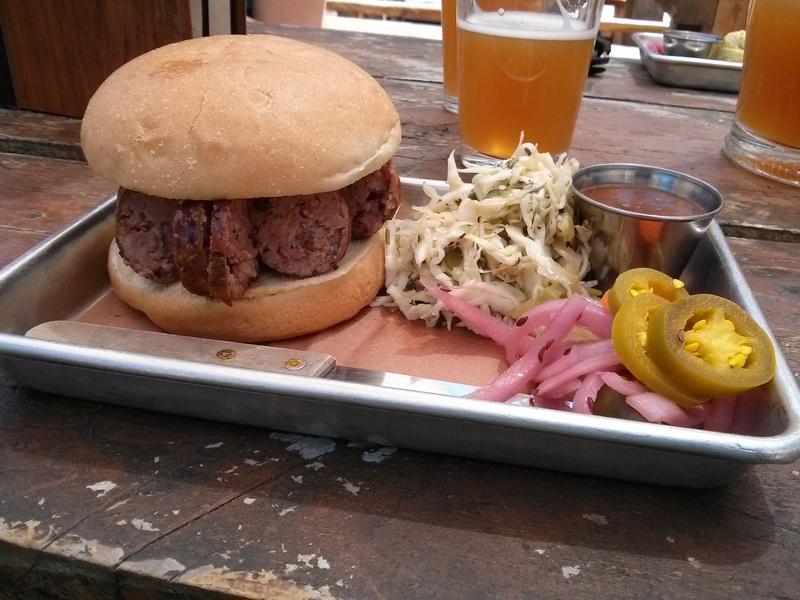 so, with that tourist flop, we went on to a more sure-thing at rainey street. 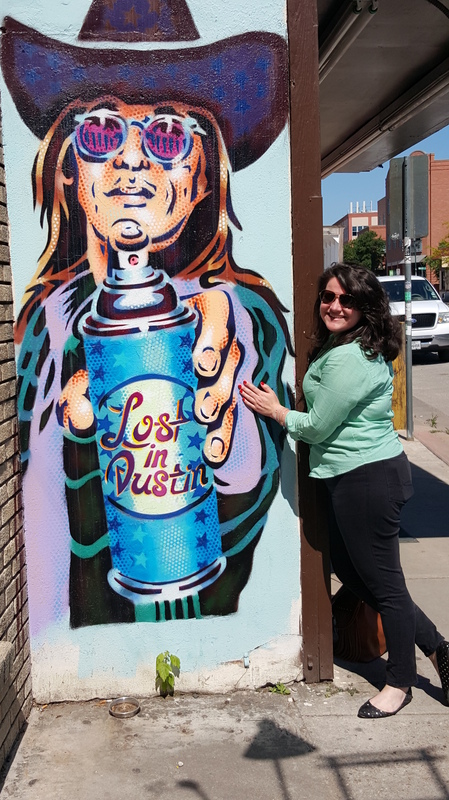 any folks i spoke with about austin said we just had to go to rainey street, so that’s where we went our first night out on the town. it was a little later, and with the crowds already coming out, we figured the food trucks would be a good idea for such a big group. some folks had tacos, others had burgers, and a couple of people had indian. me? i was almost faint with hunger, so i had myself a big ‘ole styrofoam to-go box full of pad thai. ooh, yes, baby. pad thai is one of my favorites, and i have never met a bowl of the stuff i didn’t like. it filled me up quickly and was quite satisfying. 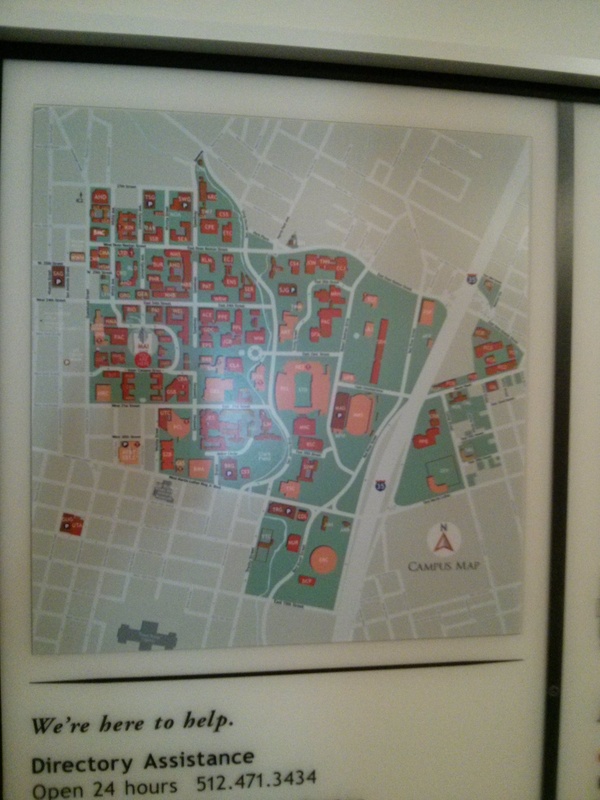 it was too early to go home, so we walked a couple blocks to clive bar on the corner of davis and rainey. clive bar, like almost all the other bars at this point, was pretty busy. we grabbed our drinks from the bartender and luckily found a couple of picnic tables and benches together to sit and relax. i really am fond of all the outdoor space these restaurants and bars have here in texas. even in the hot summer heat, a good breeze can make all the difference. it was so refreshing to just be out in the open air of the night with everyone, taking in each moment, for the weekend would rush by much too fast for my liking. i know plenty of folks that live here in texas, and one of those people is my sweet friend garth. garth is from austin, went to college with us in athens, lived with kari and me one year, and has the life as a tour guide in the states for groups from abroad. we all met because of marching band and have been close friends ever since. he was so kind to drive in for the night to see us, and when this kind of opportunity presents itself, you just cannot say no! as the yawns rolled in, we rolled back on home. a few uber cars brought us back so that we could pretty much just collapse in the living room. we were sitting around when, all of a sudden, i spotted a huge moving black mass on the wall above kate, near the ceiling. i pointed and kind of shrieked, and kate jumped up like she’d been hit by a lightning bolt. right there before our eyes was the biggest cockroach i had ever seen. seriously, i could see his spiny legs all the way from the other side of the room! i know we’ve got big bugs down in the south, but, as they say, everything is bigger in texas, and these tree roaches were no exception. panic ensued as the girls screamed and cringed, running far away from the beast. thankfully, erin’s husband shawn is a fearless fireman, so he knocked that thing down to the floor and crushed it with his bare hands. okay, so he had a napkin, but still! i would not have gotten ten feet within that nasty thing! the commotion calmed down eventually, but then, it wasn’t two more minutes when another was spotted in the opposite corner! i cannot make this stuff up, you guys! shawn took that one out quickly as well, and kate declared she wouldn’t be sleeping at all that night; she’d sleep with one eye open so that she could see those roaches coming a mile away if they tried to get to her. so yes, we were being a little dramatic, but if you know us, we wouldn’t be reacting any other way. finally we relaxed and sunk back into the sofas to – WHA!? – another cockroach! i promise i am being truthful, you all! ask any one of the other twelve people in that house with me! this one was a little more skiddish, and shawn had to chase it around the living room a little bit, between dining chairs and under rugs. soon enough he had the third and final cockroach squished and in the trash can, and it was on that dreamy note that we all went to our rooms. before we shut our eyes, i looked at phillip and promised him that i would probably scream if i saw one in the middle of the night. he didn’t look too concerned.